If you look among the letters on the Anna Lee website, you'll find a couple of mine, one of which tells the story of her gift on Robert's 80th birthday!" Buy it now on DVD! This beautiful picture at right was contributed by Jamie B. "I made this in her loving memory..I have been a fan of GH since I was 1..I have been watching the show for 33 years.."
many other famous people along the way. It is published here by Chatto & Windus, ISBN 0 7011 7593 1 (not available yet in the US). Stuart Damon (Alan Quartermaine, Lila's son, on General Hospital) was fired and killed off...however, he is still on the show until at least the summer as Alan's ghost. He celebrates 30 years on the show! The life of legendary actress Anna Lee is now in print. McFarland Publishing has recently completed the printing of Anna's biography. She started on this book many years before she died. Later during bad health she contacted author and biographer Barbara Cooper to help her complete this tome. Barbara with the help of Anna's son Jeffrey Byron completed the book after Anna's death. Anna's longtime friend and costar in "How Green Was My Valley", actress Maureen O'Hara, wrote the Foreword. Author Barbara Cooper says, "Anna Lee was a warm, wonderful, funny woman who lived life to its fullest. She was also the most courageous woman I have known, pursuing her love of acting while suffering from crippling and constant pain. Yet she never complained. Knowing her and having the opportunity to help her tell the story of her fascinating life was both an privilege and a joy." 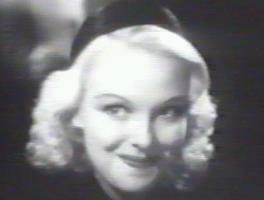 Anna's autobiography, now called "Anna Lee: A Life in Film and General Hospital", will be published in July 2007. We will put up more news as soon as we hear it! The co-author of Anna Lee's book, Barbara Roisman Cooper, says, "It was an honor to work with her. She was lovely and lively to the end. Her story contains lots of details about her films, her co-stars, her husbands (there were 3), her children, and, of course, General Hospital. I interviewed about a dozen of her colleagues from the soap, and they are quoted at length in the book." Evan Stafford, the grandson of the late actress Anna Lee (Lila) appeared on "General Hospital" on the Friday, March 23 episode. It's a small part but one that Evan is excited about. He knew when filming it that his grandmother's spirit was with him and guiding him. Evan was in a scene where "Lulu" and "Maxie" are in a restaurant having an argument and he is unable to order because of the noise they are making. He then gets to help a lady with a baby stroller out the door. "Sure, it's not a big part, anything but, but it's a start and I'm grateful to "GH" and casting director Mark Teschner and Ms. Gwen Hillier for the chance." Who knows what's next? Stay tuned! Please make sure to write to the show and tell them you want him back!! On Friday evening, May 14, 2004 Anna Lee died at her home with her son Jeffrey (Bryon) by her side. "It was very peaceful and mom died with dignity and grace, just as she lived her life." Said Byron. Anna Lee formerly Joan Boniface Winnifrith was born on January 2, 1913 in Great Britain. She became an actress very young in her life, did movies in Britain and even worked with Alfred Hitchcock before moving to the United States and doing such acclaimed hits as "How Green Was My Valley," "Fort Appache," What Ever Happened to Baby Jane" to name a few. She was most recently known as Lila Quartermaine on ABC's daytime drama General Hospital. A role she played for decades. A beloved actress, she married prolific writer Robert Nathan (Portrait of Jennie, The Bishop's Wife) in 1970. In later years her health deteriated, however she continued working until recently. "We will miss mom very much but she will always be a part of our lives." Said the family. Anna Lee will be missed. The family requests no telephone calls at this time. However, we will gladly forward any wishes or interview requests and we will get back to you immediately. We are in the process of making arrangements for a memorial service and it will be announced at a later date. LOS ANGELES (AP) - Anna Lee, whose nearly 70-year acting career in movies and television spanned from her breakthrough role in How Green Was My Valley to an extended run on General Hospital, died Friday of pneumonia, her son said. She was 91. Lee had been ailing for the past several months and died at her home near Beverly Hills with son Jeffrey Byron, 48, by her side, Byron said Sunday. Paralysed from the waist down in a car accident just a year after she began playing Lila Quartermaine in ABC's General Hospital, Lee acted in a wheelchair for more than two decades until she left the soap last year, Byron said. Born in Kent, England, Lee studied acting in London and was known as "the British bombshell" when touring with the London Repertory Theatre, her son said. In the early 1930s she moved to California to work in Hollywood, and appeared in more than 60 films including The Sound of Music (1965), Fort Apache (1948) and King Solomon's Mines (1937). "She was beautiful," said actress Maureen O'Hara, who starred with Lee in 1941's How Green Was My Valley. "She came to the United States and immediately everybody fell in love with her." O'Hara said Lee was most effective as an actress in straightforward tales of love and family life. "She made you feel, looking at her, that you belonged to the same family as her," she said. Nearing retirement age, Lee's stint on General Hospital rejuvenated her, Byron said. "That was really a great elixir for her. Without a doubt it gave her much more longevity later in life," he said. In 1982, Lee received an MBE, or Member of the Order of the British Empire award. She was to be honoured with a lifetime achievement award at Friday's Daytime Emmy Awards ceremony. Lee was married three times, first to Robert Stevenson, the director of films including The Love Bug and Mary Poppins. She was married to George Stafford for two decades and wed writer Robert Nathan in 1970. Nathan died in 1985. Lee is survived by a sister, Ruth, two sons, two daughters, seven grandchildren and two great-grandchildren. A memorial service will be held in Los Angeles in several weeks, Byron said. NOTE this is from the AP service; I don't think the parts about her accident are exactly right because I remember her walking when I first started watching the show in 1984, and then later she had a cane. She started on the show in 1978, so I don't think she was paralyzed by 79. Perhaps the accident contributed to her eventual paralysis; I'm really not sure. Just wanted to clear that up because some people have commented on that fact being wrong. From Suzanne, webmaster of this site: I am very saddened by this news. Back in October when ABC fired Ms. Lee, her son Jeffrey predicted that this might happen because Anna Lee lived for her work. It was what kept her going, he said. ABC was terrible to this great lady. I realize they are a corporation and make decisions based on financial reasons, but the way they treated Ms. Lee, who was a great actress, and have treated other seniors such as John Ingle (Edward) and Rachel Ames (Audrey, the last original cast member) is horrible and heartless. Companies do not have to treat their employees in such a callous manner. I have not enjoyed seeing what NBC has done to many of their seniors on "Days of Our Lives", but at least they did not get rid of them all, for starters. They treated each one with respect, sitting them down and preparing them for the news, and giving them a good story before they wrote them off. They give every exiting cast member a party with a cake, and for Frances Reid they even gave her a very expensive diamond and sapphire ring. They hired John Ingle with a contract after ABC's callous treatment of him. When Ms. Lee's contract was up in October, ABC did not even bother to phone her, let alone talk to her face-to-face, or give her any story to exit. After we went around publicizing what they did on the internet, ABC put out a press release, trying to say that they weren't firing her, just putting her on recurring status, and they planned to use her in the future. They were lying. They never planned to use her again and in fact didn't even bring her back for the usual Thanksgiving or Christmas episodes. They were trying to do damage control because they knew the fans were objecting to the way they treated Ms. Lee. Shame on ABC. Ms. Lee was a dedicated actress who devoted her life to her work and to her family. She kept in touch with many fans who are pouring in their well-wishes and sad regards via email. She was loving and hard-working. Even after ABC's treatment of her, she was too much of a lady to complain to the press about ABC or being out of a job. I'm sure that she would have thought that was undignified. I know she was greatly hurt by what they did. This website will stay up so that fans worldwide can learn about her great career and remember her through the pictures. We will continue to add information and pictures as we find them. Thank you! Anna Lee and other veteran daytime actors will be receiving Lifetime Achievement awards at the Daytime Emmys to be held Friday, May 21, at NYC's Radio City Music Hall; last thing that I read was that she was too ill to attend the show; apparently that was true. Ms. Lee had been commissioned to write her life story and was hard at work on that. Anna Lee's contract was not renewed; in effect that means she is fired; it is an insult to someone who has worked so hard since 1978 and is beloved by all. ABC wants to still use her occasionally but not pay her or give her medical benefits. GO HERE to see how you can help!! Note that this is NOT a rumor, it has nothing to do with Ms. Lee's health, and it is not a mutual agreement; these things have all been posted on other websites but they are wrong. I have spoken with Ms. Lee's son, soap actor Jeffrey Byron, and I have been in constant touch with her publicist. She is very upset about this turn of events and is hoping that ABC changes their minds. Statement from Ms. Lee's publicist: Miss Lee appreciates the fans support that she has received over the years and especially over the past few days..... She is dealing with this situation the best way she can and we will not forget you. Right now she needs to rest and figure out where she will go from here with her life. Her career has been important to her for over 70 years now and unless she receives a reprieve she is lost and searching for other things. Please know that you fans have the power and can let ABC and the media know how you feel about this. She loves her GH family and considers the fans part of that. God Bless you, Tommy L M Garrett, press agent for Miss Anna Lee. John Ingle (Edward) was fired from GH, then he was rehired as a recurring cast member, and now he is going to be working on Days of Our Lives playing Mickey (replacing John Clarke, who retired). Please vote for Anna Lee as favorite actress, and for both Lila and Edward as Favorite Couple! ABC lied to us; they put out a press release in November (after all of the fan uproar), saying that they had no plans to get rid of Anna Lee, she would be part of the GH family blah blah...but then they never ONCE contacted her. Not once since her contract expired has anyone from ABC phoned or visited her. They just didn't contact her, then also put John Ingle on contract (he was smart and went to Days), then recast with a much younger man to play Edward. Now we never see Lila (even during the holidays shows!) and I'm guessing we won't unless there is a major change in ABC's hierarchy. Both Edward and Lila are now out of the opening credits of the show. It's so sad how ABC is treating their older actors. A list of all of the Walt Disney board of directors, compiled by fan Pichi, so that you can write to them to Save Anna Lee! This story was covered in Soap Opera Digest, Soap Opera Weekly, and the National Examiner. Soaps In Depth barely (and misleadingly) covered it; the press is getting pressured by ABC not to cover Anna Lee's firing in a certain light. From Variety.com: Army Archerd's column 1/29: Anna Lee sadly tells me she's not received a renewal of her stand on "General Hospital." She's played Lila Quartermaine for 25 years. Lee, 90, tells me, "They have been like my second family -- the show has been a reason for me to go on." She's been wheel-chaired since an auto accident five years ago. And that tragedy, plus the fact her house burned down seven years ago, have put an enormous financial burden on the vet thesp. "I don't really know what I'll do." She claims she was once told by one of the show's execs, "You'll be on the show for the rest of your life"
Anna Lee, who has played General Hospital's matriarch Lila Quartermaine since 1978, will be taken off contract as of November. The news comes as a shock for the 90-year-old, wheelchair-bound actress, who states through her rep that she was promised a lifetime contract under the reign of GH's former executive producer, Wendy Riche. "There is no such thing as a lifetime contract with [GH]," clarifies an ABC executive. Although Lee will no longer be considered a contract player, ABC stresses, through an official announcement, that the 25-year vet will still be utilized. "Anna Lee has been a beloved cast member of General Hospital for many years, and it is our intent to continue to use her in a recurring role as Lila Quartermaine on the show as story needs may dictate."